Search Engine Optimization is quite an important online business task that a business owner should attend to. Poor or non-existent SEO means that your website doesn’t really get many visitors or generates traffic. Without SEO it’s difficult to increase your sales or convert those leads. Local SEO is a great way to bring the customers in your vicinity but there has to be a proper approach with the same standards and caution as any other SEO task. The following are some local SEO mistakes that you should avoid. Poor Quality Content – One small business mistake noticed every time is that small businesses create a common landing page with the place names only being changed. Even though various research studies have shown that more content gives more authority there is quite little to suggest that low quality keyword stuffing is quite beneficial. Duplicate or spun content which just has a change in geographical location is a big mistake and will hurt your business in the long run. Leaving Geography Out from the Keywords – Many local SEO efforts fail miserably because they do not use keywords that are clearly specific to the geographical location of the business. When planning a local SEO campaign, always include your geographic setting for the trade or the area where your target customers reside in your keywords. Geographically-specific keywords should be put in the page title and emphasized in the paragraphs too. But don’t forget to give equal important on your products or services in the content so as to generate high-quality traffic. No existence in local directory listings – If you are too focused on your website, chances are that you might overlook getting listed in local directories online. Many people fail to realize that the three primary significant reasons why they should sign up are: Driving the traffic, letting the users search them and giving the search engines the location for much more specific user search. Local directory listings are mostly free. All it needs is some time to invest for registration. Be wise to choose the ones that are most popular. All link traffic is diverted to the home page – This is the most common for of Local SEO mistake of all. When you link your website, both on the content of your own site or on others, never link only the home page. This can reduce the credibility of your page and Google results may just leave out important pages that could have given you a better business. Not Sharing Blog Posts on Social Networking Channels – Business blogs have many uses and one of the primary uses is to increase the website traffic. You can increase the blog hits and website traffic if you start sharing your blog posts with the social media fans. There is always a right way and a wrong way to do so. The social media accounts shouldn’t be just a dumping ground for all your blog posts. Create a fun and educational place that has fun posts and interesting sales posts to stop resembling a spambot. Zero Mobile Optimization – For local and general SEO it is quite important to have a website optimized for use on mobile phones. Most people today browse using their mobile devices, so if your website is not well viewed over the tablet and mobiles then you are losing on a large customer base. If your site can’t be viewed properly and a competitor’s site can be, then you may end up losing your potential clients to them. Negligence in monitoring statistics – Don’t assume that web users will use the same keywords and phrases while searching for a particular product or service. You may need to use different keywords for according to the region. You website statistics/analytics can provide you with the detail. Check how long users are spending on each website or landing page. 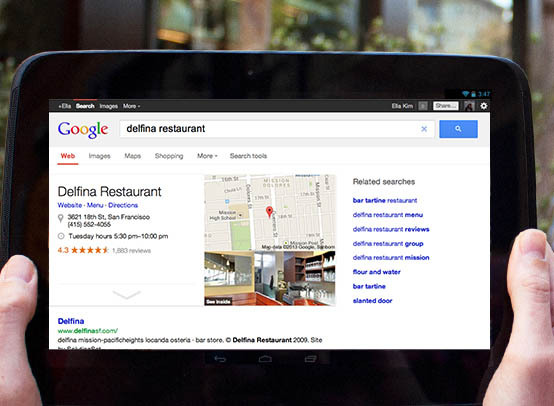 Relevancy is quite essential and a better local SEO campaign requires constant quality checks. Monitoring the analytics and keyword use can help keep the content fresh and valid. Bad Link Building – Link building is quite important but with Google’s latest updates it is seen that quality wins over quantity. If a site builds too many links in a short span of time then it can result in penalties in local search rankings from Google or other search engines. It’s fine if the links are built themselves but natural link building from other is highly valued by Google. Businesses should find a way to keep this in mind while strategizing. The above local SEO mistakes, if not addressed and corrected, can cost a lot of resources. Join SEO training to get a better idea of local SEO. These mistakes may seem quite daunting but with little efforts and corrections it can help boost sales via your website significantly. I am Ramya Raju a freelance web designer with 8 yrs of extensive blogging experience on a variety of online publishing and social-media platforms. I’m also an extrovert with a passion for photography, anthropology and travelling to different countries to learn the culture and living of the local inhabitants.